United States Veterans are privileged to a variety of benefits due to their service to our country. There are government run programs and facilities in order to aid you and your loved one during your time of loss. United States Veterans are entitled to be buried or have their ashes interred at any National Cemetery at no charge. Burial options are maintained and controlled by the local cemetery or Veterans Administration. Concrete outer burial container . A headstone or grave marker. A US flag is provided, at no cost, to drape the casket or accompany the urn of a deceased veteran who served honorably in the US Armed Forces. 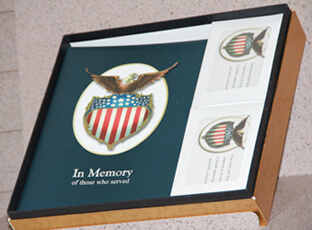 It is furnished to honor the memory of the veteran's military service to his or her country. Here are a few phone numbers and websites with more veterans and survivors benefits information.